For 100 years, Holland Hospital has served our community in the spirit of hope, compassion, respect and dignity. It takes an extraordinary effort to achieve a century of longevity and success. How fitting that in celebrating our 100th year, we honor the team who led our Century of Caring celebration with our employees and community: Marketing & Communications. The Marketing & Communications team formally kicked off the Centennial Celebration in the summer of 2016 by working with Kirk Cousins on a Centennial promotional TV spot. The formal kick off in the fall of 2016 began countless hours of research, identifying historical figures and milestones, numerous visits to the local museum, and exploring the best ways to engage our community. Then there’s the extraordinary effort it took to interview former patients, volunteers, and employees (one from the other side of the world! ), and to engage community members to share their hospital stories with us through a special Centennial micro website. The amount of detail, team work and coordination this took was remarkable. From January through June 2017, the Marketing and Communications team kept our employees and community engaged by sharing the stories of our rich history both internally and externally. Planning a reception for 200 honored guests from around the country requires a level of planning and detail that can seem daunting to some. On June 15, 2017, this team handled it flawlessly – including having guests return to where it all began – the original ‘hospital on the hill’. But that’s not all. How about planning a picnic for 3,000 attendees two days later and coordinating vendors, planning kids’ activities and entertainment, promoting participation of local businesses and recruiting volunteers? Every single detail was extraordinary. During the picnic, numerous people shared their praise and gratitude with members of Administration on hand. 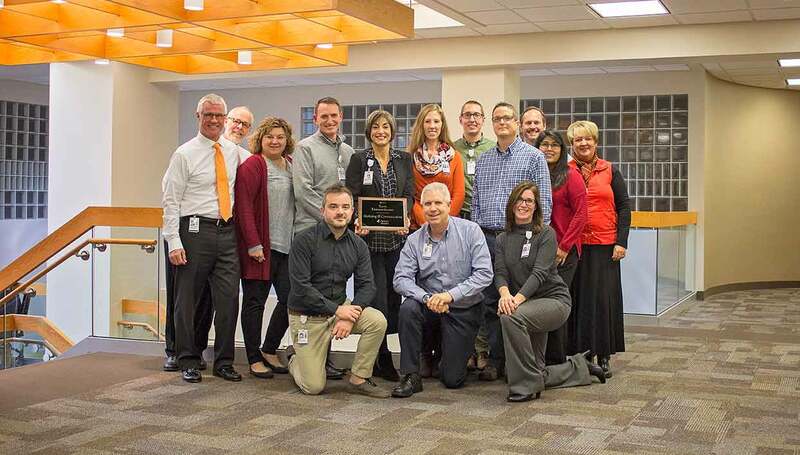 “Holland Hospital saved my life” was commonly heard both reinforcing our commitment to the community and their choice for the Team Extraordinaire award. For representing our hospital throughout our Centennial Celebration, and through your extraordinary effort, team work and attention to even the smallest details, we say congratulations to the Marketing and Communications team for making our 100th year one to remember.